Each year, CyberSecurity Breakthrough runs an award program that recognizes the efforts and achievements of technology companies, their products, and the people who drive innovation. The awards program covers the full spectrum of cybersecurity solutions including email, web and cloud security, threat detection, fraud prevention, risk management, firewalls, and UTMs across 16 product categories. Each year, the scale of the awards program grows. More than 2,000 nominations were received for this year’s awards program, with companies coming from 12 countries around the world. Those nominations were assessed by a panel of independent expert judges from the cybersecurity community who whittled down the field and selected the companies, products, and people that are having the biggest impact in their respective fields. This year, awards were given to some of the biggest names in cybersecurity including Paloalto networks, Crowdstrike, Proofpoint, Trend Micro, CipherCloud, Avast, and Lookout. There were more than 60 awards issued in this year’s program, with SonicWall chosen as the overall Cybersecurity Company of the Year in the Cybersecurity Leadership category. 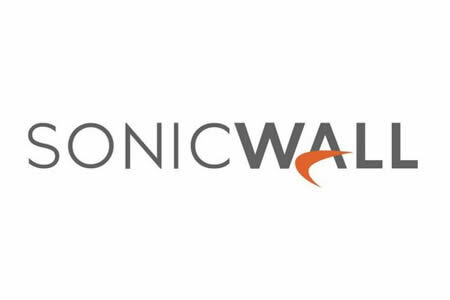 “With a 25-year track record in the cybersecurity industry, SonicWall is both a proven industry leader and a technology innovator that is addressing today’s most challenging information security issues head-on,” said James Johnson, managing director, CyberSecurity Breakthrough. “The Overall CyberSecurity Company of the Year award is the marquee award for our program and we congratulate SonicWall on their distinguished industry recognition.” The award brings SonicWalls tally of accolades up to 21 in less than a year for its business strategy and leadership. Other award winners in the category include Security Mentor’s Dan Lohrmann who was named CISO of the Year, Strongarm for the CyberSecurity Solution of the Year, the Cloud Security Alliance for Professional Certification Program of the Year, Alien Vault for SIEM Solution of the Year, Paloalto for Enterprise CyberSecurity Solution of the Year, and Norton for Consumer CyberSecurity Solution of the Year.